The 2016 Small Works Exhibit & Sale was a great success! 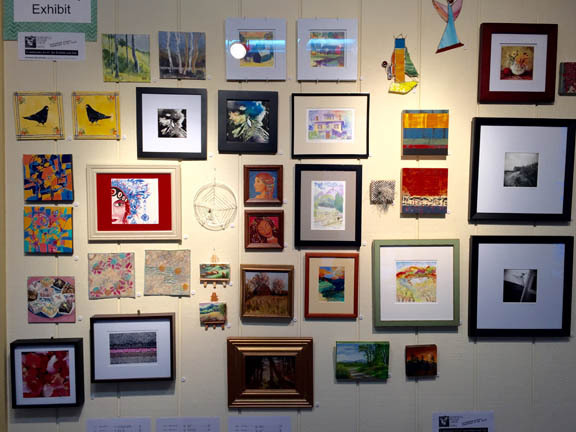 The Sawmill River Arts Gallery is calling for entries into its Small Works Exhibit & Sale, to be held February 4-27, 2017 at the gallery. This is an open (non-juried) show of original two-dimensional and three-dimensional art. At least one artwork from each artist will be exhibited. Due to space limitations, we can accept only the first 100 total pieces submitted. Please read the document carefully; all guidelines are included. Or, visit the gallery to pick up a paper entry form. Work must be dropped off between January 14 and 28. An opening reception will be held Saturday, February 4 from 11:30 a.m. to 2:30 p.m.
For more info call the gallery at (413) 367-2885.